ALA provided site design for Pioneer Park located in Berthoud, Colorado. Interactive site elements were one of the focuses of the plan, such as a water feature that changes flow rates and shape as kids turn cranks or push levers. A pedestrian bridge crosses the interactive water feature and connects to play equipment which capitalizes on views of the ‘Great Pond.’ The concept of time and reflection is represented in the park topography by three hills. The hills are themed past, present and Zach’s Hill, which is a memorial to a member of the community. 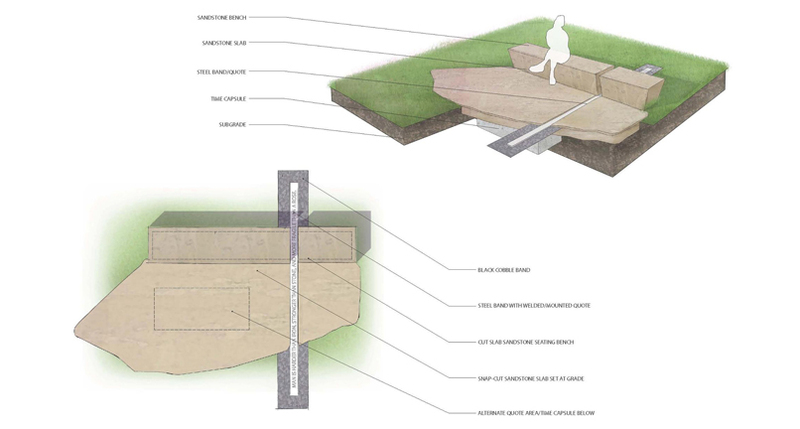 Park elements were also designed to connect to and flow from the picnic shelter via strategic placement and a paving pattern which insinuates movement.